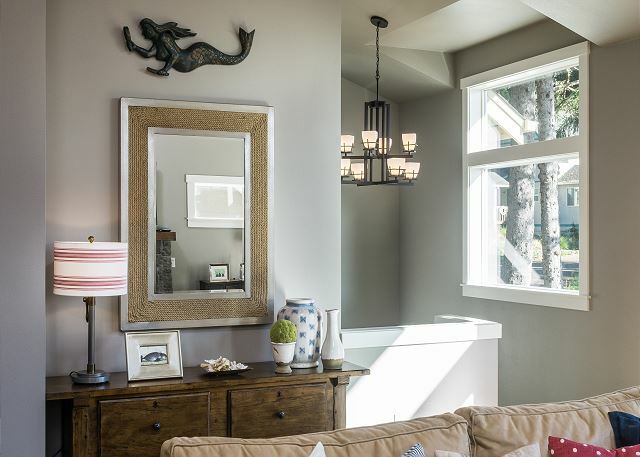 You won’t want to leave the gracious comfort of this newly built home. 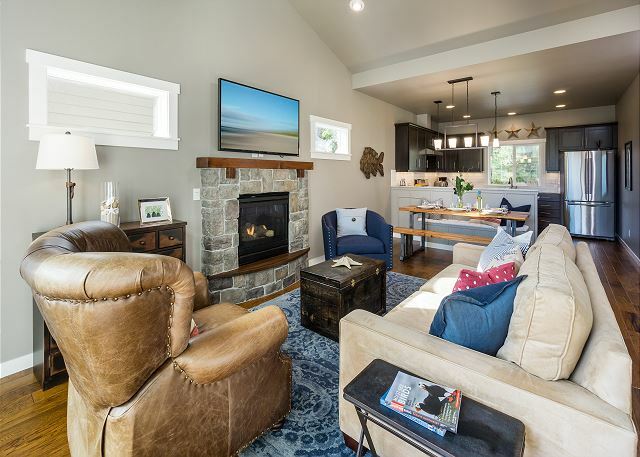 Tucked into a peaceful, wooded neighborhood, its polished, airy interior and fabulous outdoor spaces—including a private backyard with fire pit and an outdoor shower—provide the perfect setting for your next vacation. Plus, you can take the short 10 minute walk to Tolovana Beach State Park, venture into Cannon Beach, and explore other nearby spots to enjoy beachcombing, hiking, dining, shopping, and outdoor adventure. 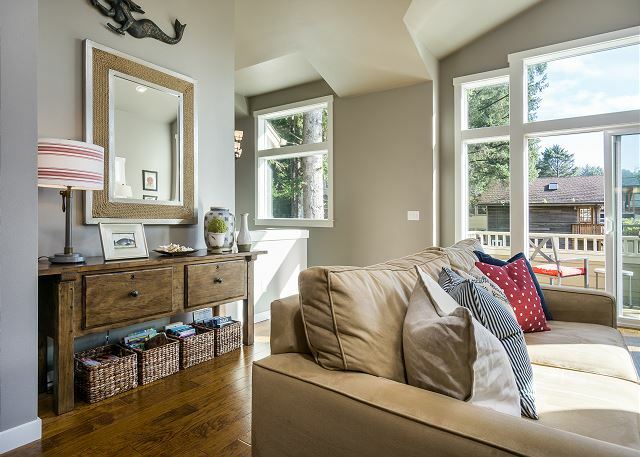 - Huge windows, vaulted ceilings, and open floor plan provide a welcoming sense of space. 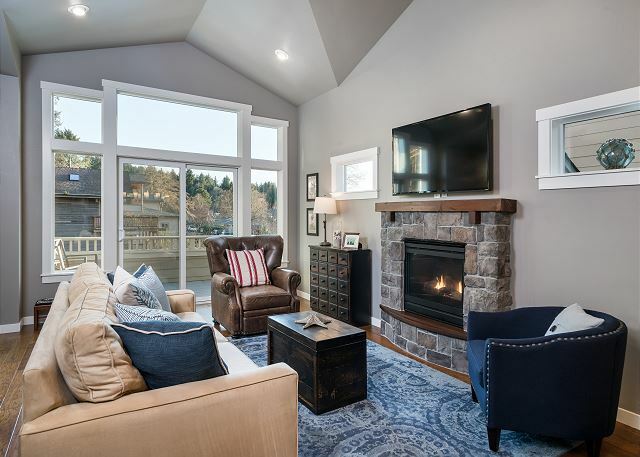 - The plush furnishings and gas fireplace with stone hearth make it an appealing spot for watching movies on the free WiFi-enabled flatscreen TV or indulging in a good read. 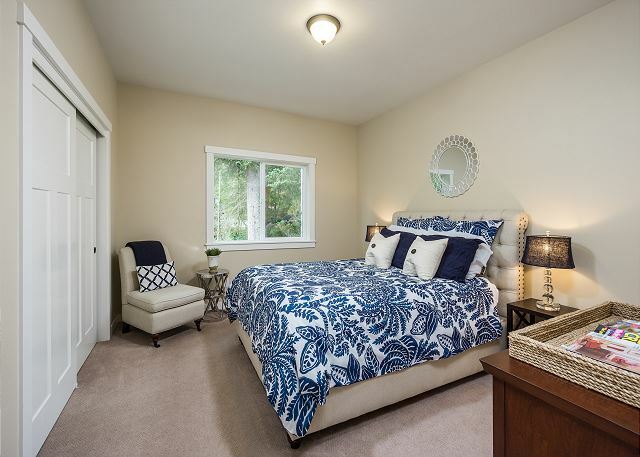 - The master bedroom has plenty of room, with a queen-sized bed and Westin Heavenly mattress you’ll want to sink right into and an adjacent full bathroom. 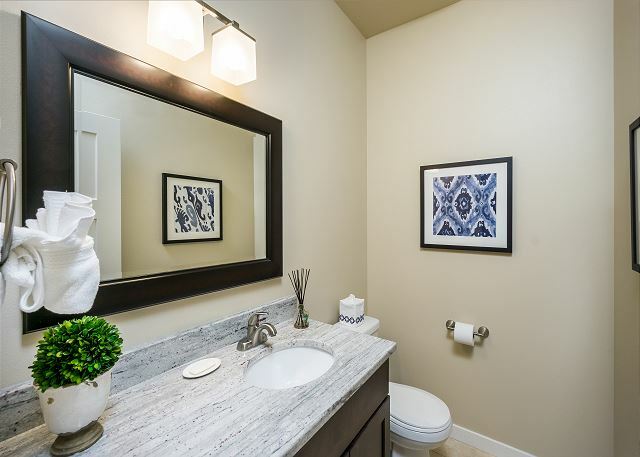 - There’s also an elegant half-bathroom on this floor. 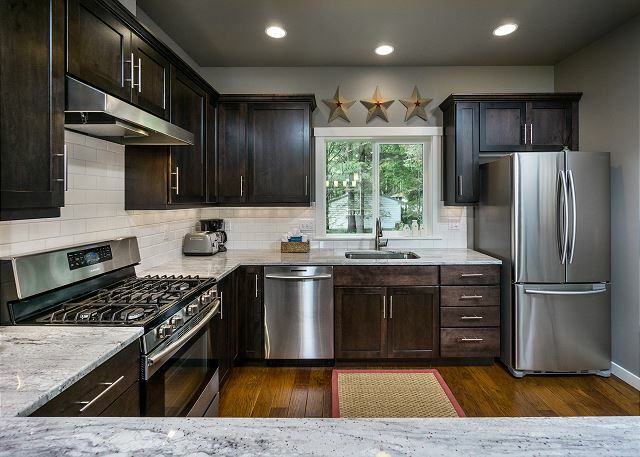 - It’s a treat to work in this fully equipped kitchen, whether you’re whipping up a snack or concocting a culinary masterpiece. 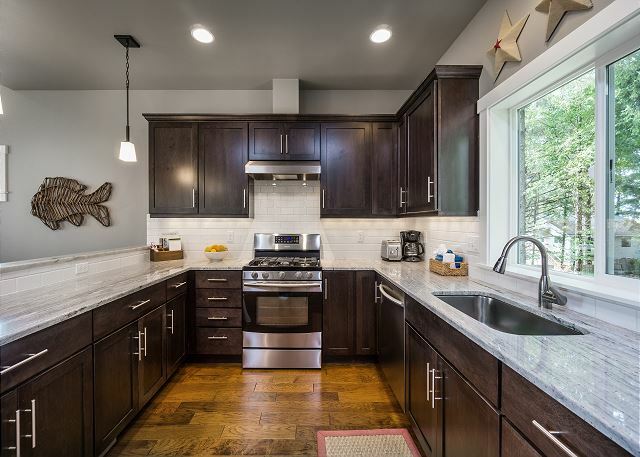 - Its ample granite countertops and array of stainless appliances—including gas range and dishwasher—make it easy to cook together or fly solo. - Guests can gather at the contemporary wooden picnic table to converse with the cooks and feast on the outcome. - This level boasts yet another bright, airy bedroom with a comfortable queen-sized bed also topped with a Westin Heavenly mattress. - For the young or young-at-heart people in your party of six, there’s a room with twin bunk beds and a pullout trundle bed, along with a flatscreen TV. 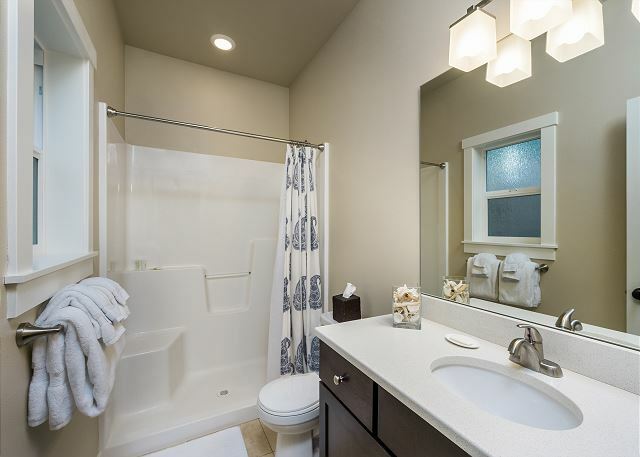 - The rooms share a gleaming, spacious bathroom with shower/tub. - After a day of playing outdoors, you can pop your dirty clothes into the full-sized washer and dryer. 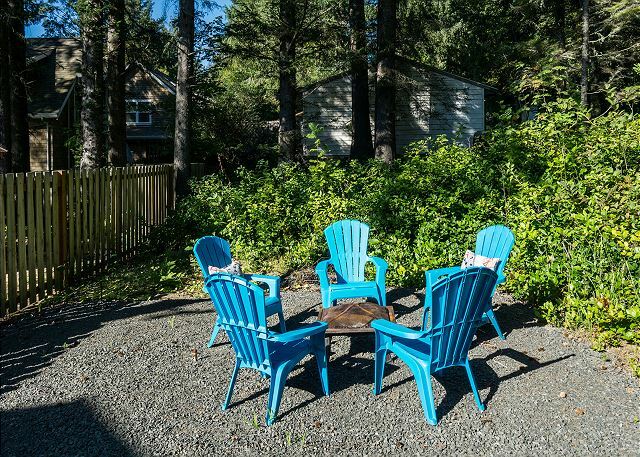 - Enjoy festive or restive times out in the fenced and landscaped backyard, complete with patio chairs, gas grill,and hot/cold shower. 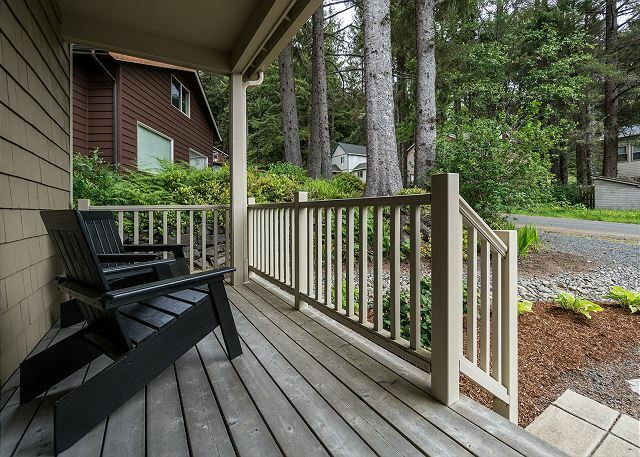 - The front porch is the perfect spot to pull up an Adirondack chair for a cozy conversation, rain or shine. 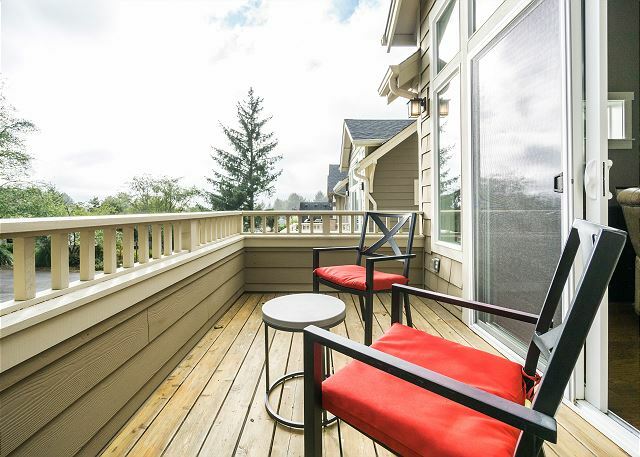 - And the sizable balcony off the living room will beckon for soaking up the sun, stargazing, etc. - Beach chairs, beach toys, and wagon available for guest use. Cold and rainy outside? Need something for the kids to do? They can enjoy using the XBox in the bunkroom. Lots of games are included! - It’s a vacation—indulge yourself with amazing coffee and freshly baked breads from the Sea Level French Bakery. - At Surfcrest Market, you can pick up s’mores makings and rent three-wheeled bikes for some fun on the beach. 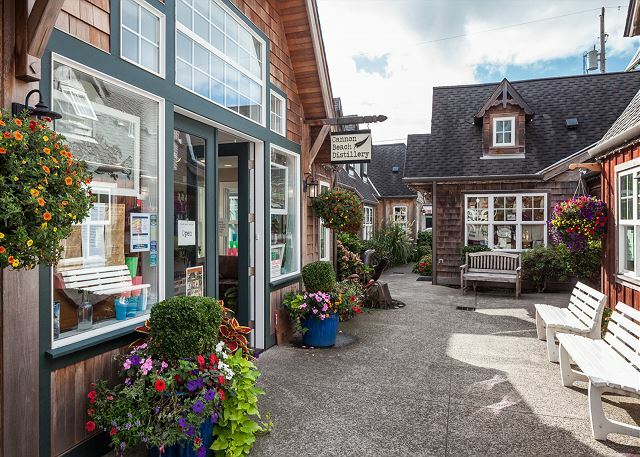 - Consider treating yourself to a meal at one of several top-rated restaurants in Cannon Beach. The famed Stephanie Inn serves unforgettable Pacific Northwest breakfast and dinner fare, and you’ll find truly exceptional French Italian cuisine at Newmans at 988. We spent Presidents Wknd at this rental and so glad we did. The customer service was top notch start to finish and Starfish thinks of everything to keep check in and out super convenient. We were greeted by not only the cleanliness and warmth of the rental itself, but wine, cheese, Melissa & Doug coloring books and a beautiful set of craft crayons for our two kids. Very inrxpected and so nice. Then the home was just perfect for us. 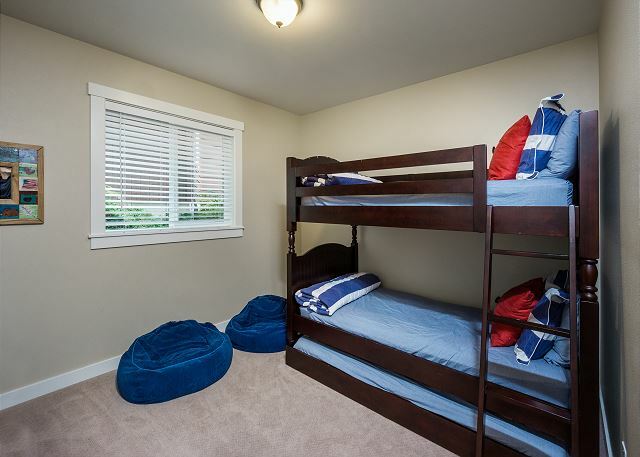 With bunks for kids and a really nice master suite. Loved the beachy Pottery Barn decor and lovation was also very convenient - a 5-10 min walk to Tolovana and a Fresh grocery right on the corner. My only wish would be a king bed in the master and a hot tub out back. But, we loved our stay and will be back. Thank you Starfish! Manager Response: It was such a pleasure having you and your family stay with us again. 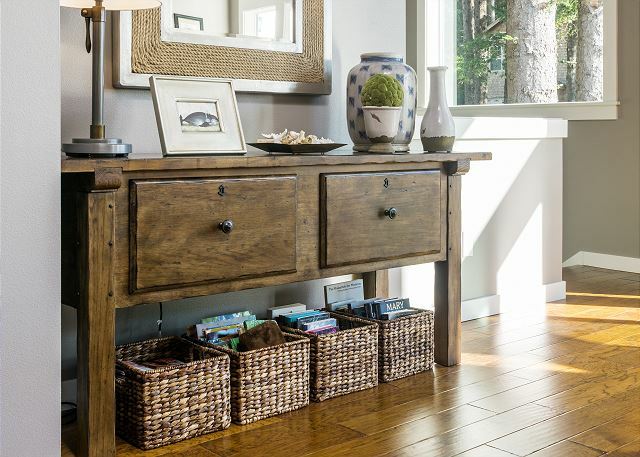 As a local provider of boutique accommodations, we take great pride in warmly welcoming our guests and tending to the details to ensure that they take fond memories home with them. We're so glad you found the wonderfully well-stocked Fresh Foods grocery store so convenient and the walkable beach access too. We will certainly pass along your suggestions to the owners - they are always looking for ways to delight those who stay at their home! We look forward to your next visit. Manager Response: Thank you for your kind review of our Seven Spruce home. 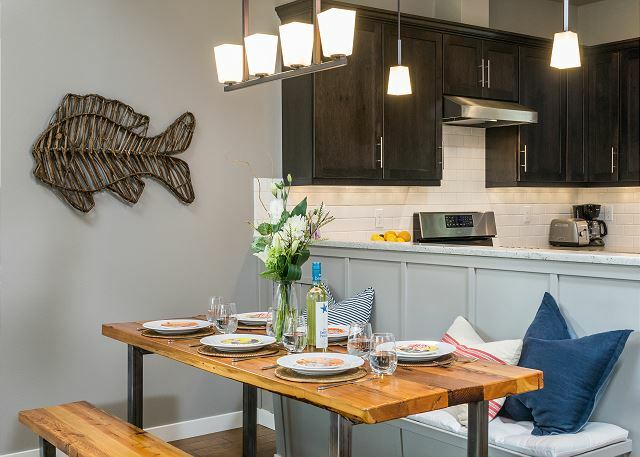 As seasoned travelers ourselves, we know how important a clean, welcoming home is to an overall vacation experience and at Starfish Vacation Rentals we make this our top priority. 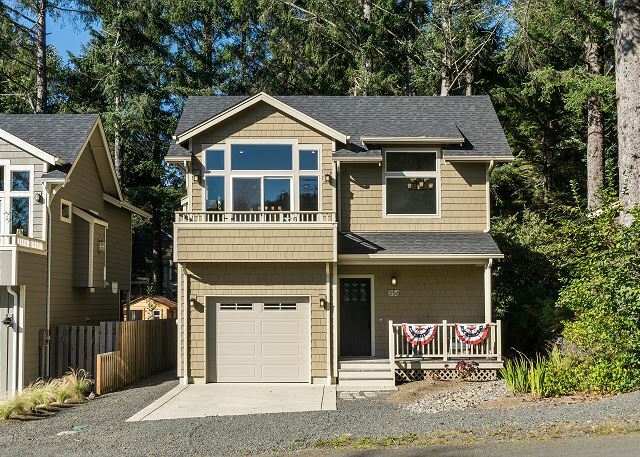 We're pleased to know that you enjoyed your stay and the convenient location of this home at the south end of Cannon Beach. This is a great house. Feels like it's almost new, well kept, lovely decor, good beds. While it has three bedrooms the living area is small and hard to imagine more than four people staying there. It's a good 15 minute walk to beach and you need to drive to town. Manager Response: Thank you for taking the time to leave a favorable review of your experience at our Seven Spruce home. The home is nearly brand new and the owners take great care to keep it maintained that way for guests to enjoy. 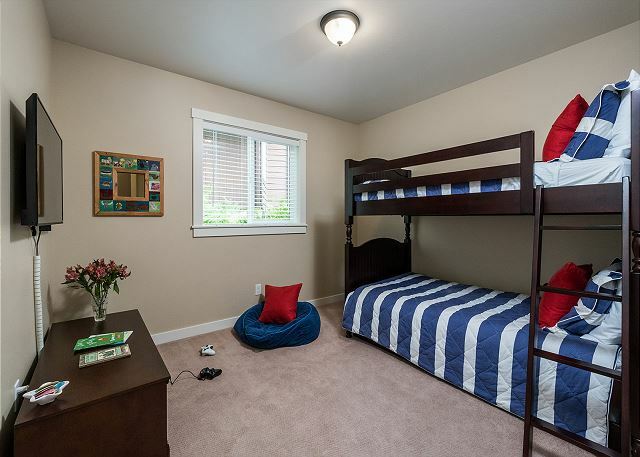 The home can sleep up to seven guests, though we agree that it is best suited for 4 or 5 adults and up to 2-3 kids who would enjoy the bunk room with the gaming console and the nearby beach. Please do not hesitate to reach out directly to us at Starfish Vacation Rentals if you should have further comments about your stay. We hope to welcome you again the next time your plans bring you to the Oregon Coast. My family and I loved everything about this house. We will be returning. Manager Response: Thank you for your kind review. Our Starfish Vacation Rentals team takes great pride in carefully preparing for each guest and the owners have a keen eye for detail too. Hearing how much you enjoyed your stay helps us know we're doing things right! We look forward to your return visit. House was perfect for our annual sisters' hiking trip. Beautifully decorated, warm and easy to feel right at home. 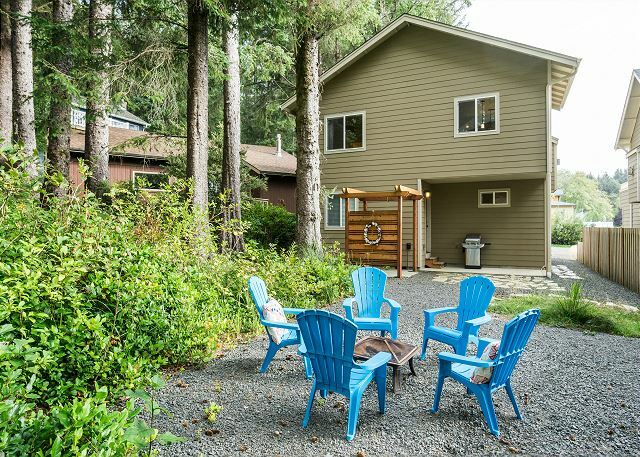 Convenient location to all, short drive or walk to the beach. Would stay there again. Terrific home for a family of 5; the home was stocked with everything we needed and the location was terrific. The neighborhood is safe and friendly and the beach is a short, safe walk down the street. We loved the convenience of small, but well stocked with local, organic food, grocery store within walking distance of the house. We would definitely stay here again! Our Family recently spent 1 week at Seven Spruce! We loved our stay there in the roomy, well-maintained, clean home with our family of 6! We would return again, and recommend this comfortable home to anyone!! Manager Response: Thank you so much for your recommendation of our 7 Spruce home. 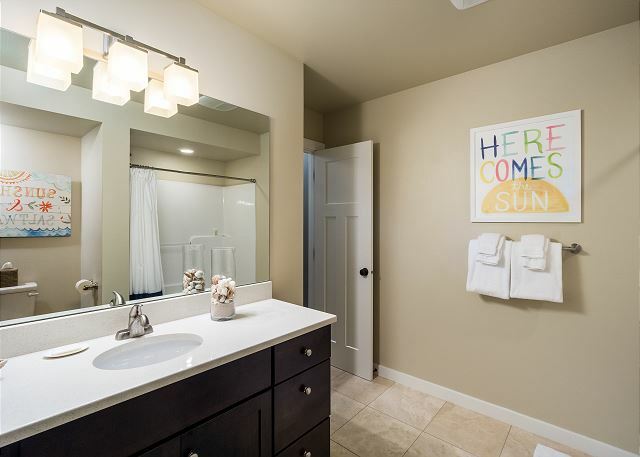 We at Starfish Vacation Rentals take great pride in providing a warm welcome to our guests and a well-cared for home and are so pleased that you enjoyed your stay. 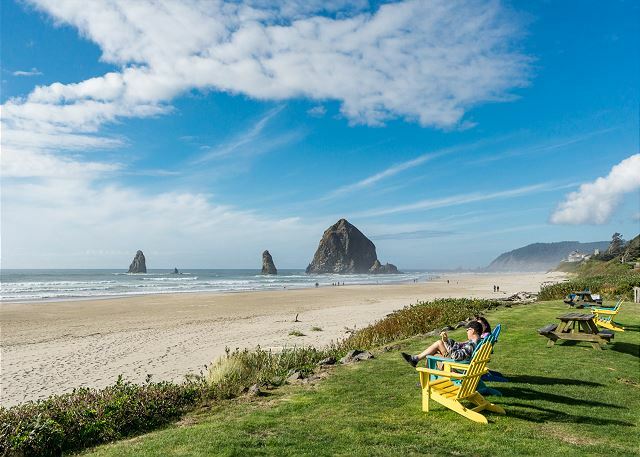 We look forward to having you back whenever your plans bring you to Cannon Beach. The home is well equipped with the latest kicthen needs as well as toys , gameing for teens, and many books for reading. It is located in a very quiet neighborhood with nice and friendly people. Getting to the beach was a snap as was getting to town. The Starfish site provided accurate information about where to eat, shop and sites to see. We were very pleased with our choice. Manager Response: Thank you for staying with us for a month this winter! 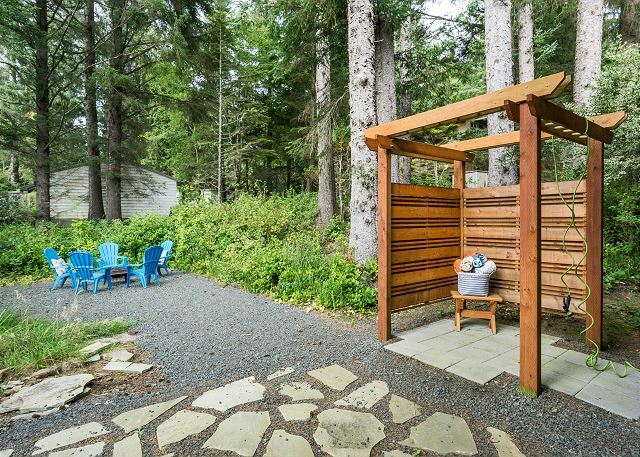 It's great to hear that you enjoyed the quiet location which is sometimes hard to find in Cannon Beach. Thanks for leaving a 5 star review, and we hope you'll stay with Starfish Vacation Rentals again next time you are in the area. The house is beautifully decorated and spacious. 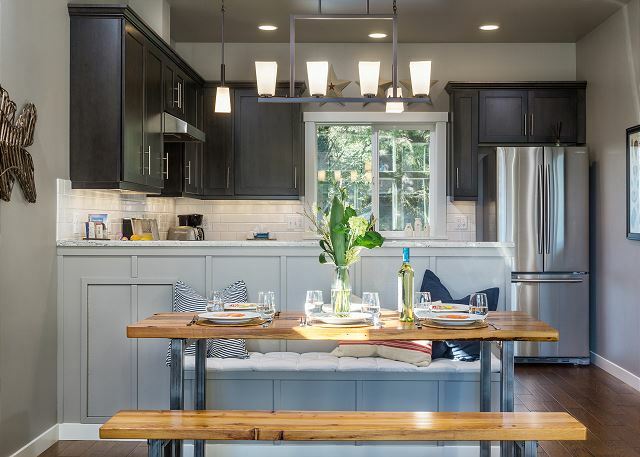 The beds are comfortable and the kitchen is so nice (I would recommend providing a cutting board, the counters are so nice and I hated to chop on them). We loved the living room with the fireplace and the big window! We couldn't figure out how to use the tv, so instructions would be good. Nanette helped us to try and regulate the heat downstairs because it was quite cool, but then the upstairs was too warm. Overall, we had a wonderful stay. Beautiful sunsets. The walks to the beach provided our grandchildren with cute bunnies to feed and enjoy. We hope to come again. Thankyou! 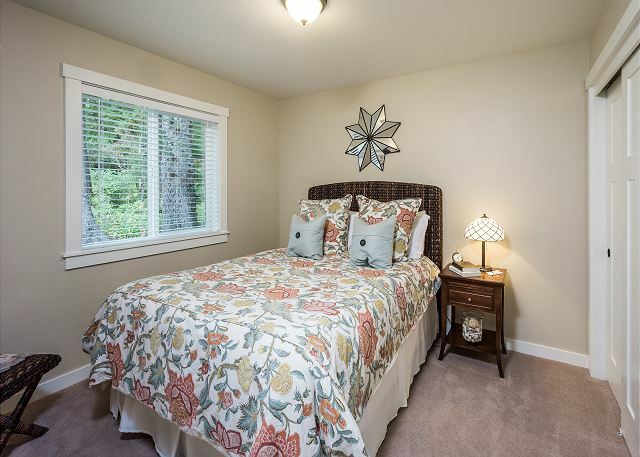 Manager Response: Thank you so much for staying with us - we're so glad you enjoyed this beautiful and thoughtfully decorated home. The TV instructions are in our guest app, and are pretty simple (but we will also print these out for easy reference too). We are looking to see if there may be an issue with the heating system (thanks for letting us know). The bunnies are always a hit in Cannon Beach, so we hope you'll be back to visit us and them again soon!